It’s Time D-Heads! 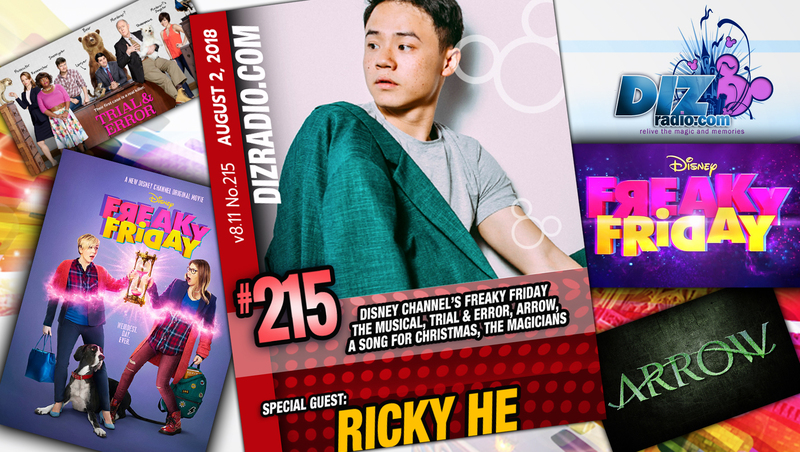 This week things get freaky as we welcome RICKY HE (Disney Channel’s Freaky Friday the Musical, Arrow, Trial & Error, A Song for Christmas and more) to the show. 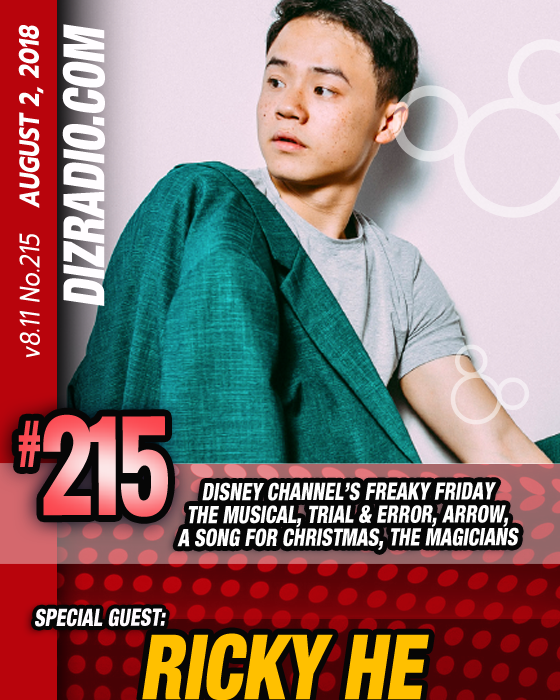 He talks about every version of Freaky Friday made to date, his upcoming debut in the musical version on the Disney Channel, working with the team on Trail and Error, his favorite musical numbers, Arrow, Martial Arts and more! In addition no show is complete without the D-Team and Frank brings you inspiration direct from Walt himself in the Disney Quote of the Week while Domenic gives you the tips and tricks for your vacation in The Short Leash. And Michael brings you those fun tidbits of Disney history found in Walt’s Footsteps while Trisha and Jamie curb your hunger in Magical Munchies. And let’s not forget Alexa with the latest from the Disney Parks with Disney Parks in 5 while Charles hits up the Hollywood Walk with more about our guest Ricky He. 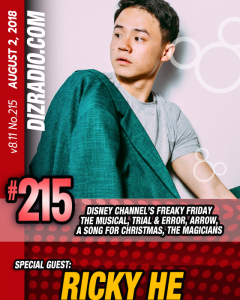 There is news fresh off the D-Wire with news about Star Wars, Heroes and Villains, Ewoks, Disney Channel, Mickey Mouse, Disneyland, The All American College Marching Band, Walt Disney World and more!